The Monson Law Firm participated in the September Member Social of the Greater New Orleans chapter of the International Association of Insurance Professionals. 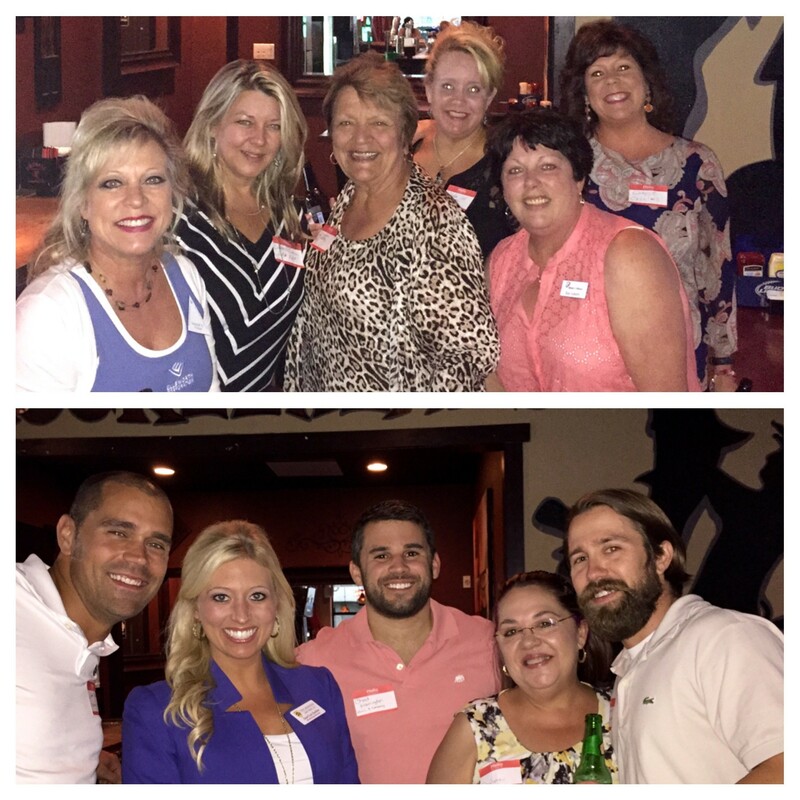 We enjoyed a wonderful evening of networking with the new and seasoned IPGNO members! Pictured are Debbie Orillion with Ellsworth Corporation, Debbie Cuccia with Louisiana Restaurant Association Self Insurer’s Fund, Kathy Miller with Bituminous, Debbie Lee with Lee Insurance & Service, LLC, Kay Asberry with Burns and Wilcox and Gayle Collins with Deep South. Pictured below, Luke Bowman with Young & Associates, Ann’Lee Earles with The Monson Law Firm, Chad Harrington with Hull and Company Inc., Darlene Nelson with Aparicio, Walker, & Seeling, and Matt Holmes with Young & Associates. The Orleans Parish Civil District Court recently granted a Motion for Summary Judgment filed by The Monson Law Firm attorneys Sarah Murphy Barro and Rachel Flarity, ruling that Atain Specialty Insurance Company’s policy did not provide insurance coverage for the plaintiff’s claims. In the case of “Anthony Bassett v. Hilton Worldwide, Inc., Global Staffing Solutions, LLC, and Atain Insurance Company,” plaintiff was injured while working for Global Staffing at the Riverside Hilton. Plaintiff ultimately filed a lawsuit against Hilton, Global Staffing, and Global Staffing’s CGL insurer, Atain, asserting that he slipped and fell on water which leaked from a wet bar. Plaintiff alleged that Hilton’s employees were solely responsible for his accident. The District Court held that Atain did not provide coverage for plaintiff’s claims because (1) plaintiff did not assert a negligence claim against Atain’s insured, Global Staffing, and (2) Hilton was not an “additional insured” under the policy because it was solely responsible for plaintiff’s accident, and the policy only insured Hilton for Global Staffing’s negligence. The Monson Law Firm attended the New Orleans Claims Association’s September lunch meeting at the WWII Museum’s Stage Door Canteen. We enjoyed hearing Stephen Watson, Executive Vice President & Chief Operating Officer, speak about this wonderful treasure in our own backyard and how important the insurance industry was in helping to restore the WWII Museum after Hurricane Katrina. Pictured are Ann’Lee Earles, Randy Jackson with Abercrombie, Simmons & Gillette, Inc., Michael Orlando with Emergency Restoration, Inc., Darren Melerine with Anchor Insurance Holdings and Matthew Monson. 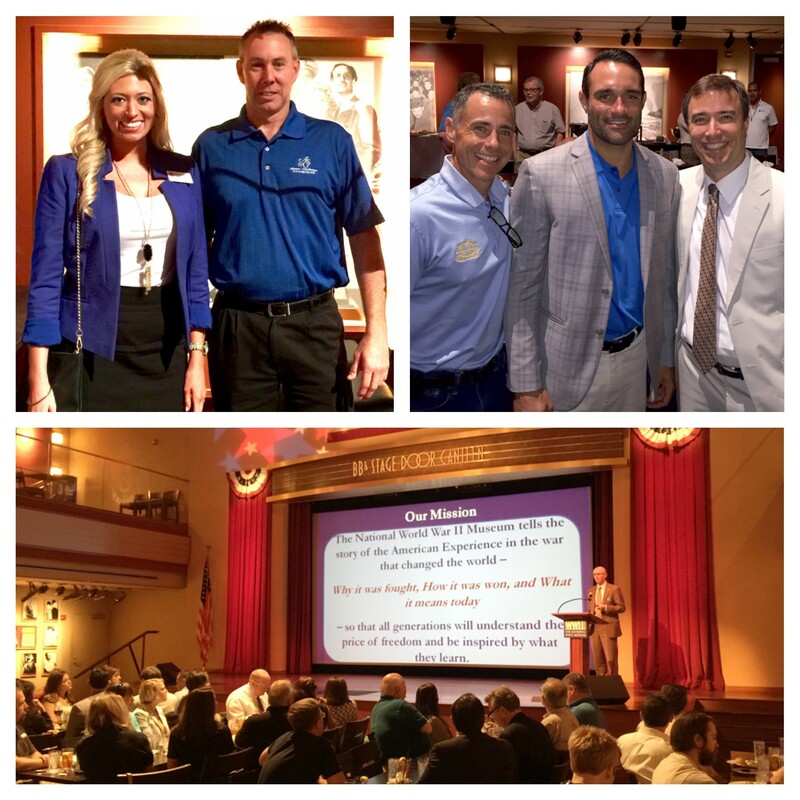 The Monson Law Firm participated in the Risk Management Society’s September lunch meeting. We learned from a guest speaker on the legislature’s highly debated topic of “Medical Marijuana in the Workplace.” Pictured are fellow RIMS members, Liz Lotz and Veronica Authement with U.S. Health and Environmental Liability Management, LLC and Seth Leblanc with Franciscan Missionaries of Our Lady Health System. The Monson Law Firm attended the Louisiana Pond’s Honorable Order of Blue Goose International Dinner Meeting. The firm learned from guest speaker, Nick Cammarata with SDII Global Corporation on the topic of “Problems and Failures of Floor Tiles”. Nick is a forensic Civil and Structural Engineer. Pictured are Baylie Babin with Imperial PFS and Ann’Lee Earles with the Monson Law Firm. Rachel L. Flarity of The Monson Law Firm won a Motion for Summary Judgment in the 22nd Judicial District Court for the Parish of St. Tammany on behalf of McMath Construction, LLC in the case entitled “Norman Coscino v. McMath Construction Company, Christwood Retirement Community, ABC Insurance Company, and DEF Insurance Company.” In this case, plaintiff, a subcontractor, was injured on a construction site after a fall and filed suit against the general contractor and property owner. In dismissing the claims against the contractor, the court agreed that even as a subcontractor, plaintiff’s claims were governed by the exclusive workers’ compensation remedies of LSA-R.S. 23:1032 and could not be pursued in tort. 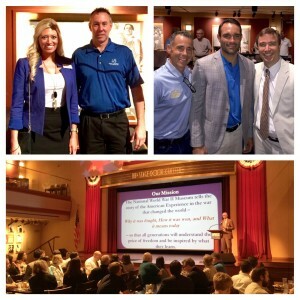 The Monson Law Firm attended the Northshore Claims Association’s September lunch meeting. We learned from guest speaker, Matthew Edwards with Stop Guarantee on the topic of “Lead Poisoning.” Pictured are Vinnie Carbo with AMC Resources, Carol Osborne with Jefferson Neurobehavioral Group and Travis Micelli with TMI. The Monson Law Firm participated in the Baton Rouge Chapter of Independent Insurance Agents & Brokers of Louisiana’s Annual Company Appreciation Event at Mango’s Beach Volleyball. Pictured are fellow members of IIABR enjoying their Monson Law Firm Crawfish koozies while watching other members play a fun game of volleyball. The Monson Law Firm participated in the Baton Rouge Chapter of the Independent Insurance Agents & Brokers of Louisiana’s September lunch meeting. We learned from guest speaker Chip Kline, Chairman of the state’s Coastal Protection & Restoration Authority Board and Director of the Governor’s Office of Coastal Activities. Chip represents Louisiana as the governor’s designee under the federal RESTORE Act’s Gulf Coast Ecosystem Restoration Council and coordinates the efforts of all state agencies in fighting the loss of Louisiana’s valuable wetlands. 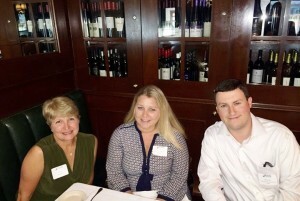 The Monson Law Firm participated in the Baton Rouge Claims Association’s September lunch meeting. We learned from guest speaker, Chase Roy, PT, DPT, who spoke on the topic of “After Acute Care, FCE’S and Work Conditioning”. Chase is the Clinical Director of the Industrial Center of Downtown Physical Therapy, which is located on Highland Road in Baton Rouge. For more information, visit their website atwww.dtphysicaltherapy.com. Pictured are Chase Roy, Kristin Shortess with Third Coast Underwriters, Lydia Oberle with One Call Management and Coco Bendernagel with Younger and Associates. Matthew D. Monson, Esq. and Laura H. Abel, Esq. attended the first Comp in Focus luncheon speaker series presented by Louisiana Comp Blog. This series addresses emergent issues in the workers’ compensation industry with speakers from both the employer/insurer and claimant/labor sides of the arena. More than a lecture, Comp in Focus seeks to create a dialogue in the comp community on the “big picture” issues and how they affect the industry on a local level. This meeting’s speaker was Charles R. “Chuck” Davoli, who addressed the push for “opt-out” statutory provisions in workers’ comp systems around the country. A special thanks to Nina Luckman of Comp Blog and Mark Tullis of LCI Workers’ Comp. (www.lciwc.com) for putting on such an informative event! To keep up with the latest in Louisiana Worker’s Compensation issues, visit www.CompBlog.com. The Monson Law Firm was represented at the New Orleans Chapter of the Professional Insurance Agents of Louisiana’s September lunch meeting. Marketing Director, Ann’Lee Earles, is pictured with guest speaker, Louisiana Commissioner of Insurance, Jim Donelon. Commissioner Donelon gave an update on the Louisiana Insurance Industry and discussed the reduction of the surplus lines tax rate from 5% to 4.85% pursuant to Act 386 (H.B. 259). On August 7, 2015 The Monson Law Firm won summary judgment on behalf of Southern Fidelity Insurance Company in the case of “Douglas, et al v. Renola Equity Fund, LLC, et al.” The case is pending in United States District Court for the Eastern District of Louisiana. The court agreed that Southern Fidelity timely adjusted and rightfully paid its insured pursuant to the terms and conditions of the policy. In granting summary judgment, the court held that plaintiff could not carry his burden of proof that Southern Fidelity underpaid on his claim. Click here for a copy of the court’s ruling.